The latest podcast episode is about reading Fr. Richard Rohr’s book Falling Upward during a season of job loss in my life. 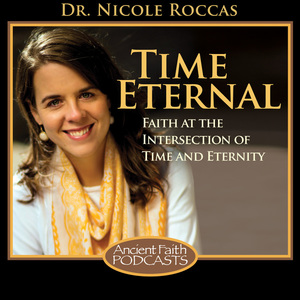 It’s an invitation to think about the meaning of temporal trials and the pivotal role they play in shaping one’s relationship to God and others. Have you ever gone through job loss or unemployment? How did that shape your experience of time and/or faith? I’d love to hear about it! Thank you Dr. Roccas for this. Glory to God for listening to the podcast about job loss today, on St. Nektarios , who is a healer of cancer but also a protector of jobs, as seen in his Akatist when Lucian is mentioned!